You know the feeling. Everyone in the neighborhood has a storage shed that looks about the same. Plus, when you walk into your shed every day, you wish it had better ventilation. With a SHED CUPOLA your backyard shed will be brighten up your backyard and, if it is ventilated, make your shed a cooler place during the hot summer months. You’ve invested in a storage shed, now it is time to add the cupola to top it off! Literally! 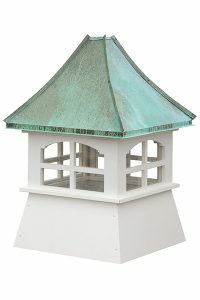 Our cupolas for sheds can be small or large, copper or painted, wood or vinyl to fit your needs and your backyard. To give you shed the cupola it deserves, start here. 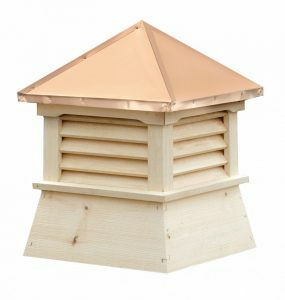 You can choose a simple small shed cupola with louvers or choose a cupola with a copper roof and windows. 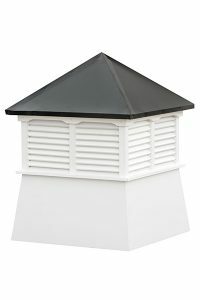 Don’t miss the weathervanes for your shed cupola to make the look even better! 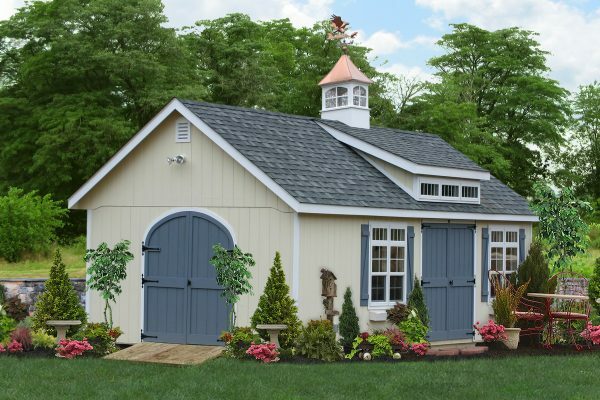 What size should my Shed Cupola be? That depends on the size of the shed where the cupola will be installed. Rule of thumb is measuring the length of your building and then multiplying by 1.25. That will give you the approximate inches that is idea. A 24-foot shed needs a 36-inch cupola, a 32-foot shed needs a 48 inch cupola. See more instructions here. How difficult is a Shed Cupola to Install? Some of it depends on what you want to accomplish with a cupola on your shed. If you strictly want a cupola for making your shed look snazzy, then the process is quite straightforward. However, if you want to ventilate your cupola, there are a few more steps. Are your Shed Cupolas Really Made by the Amish? Well, that was a clever question! Truth be told, our cupolas are made by real Amish in Lancaster County, PA and are delivered right to your doorstep all over the USA and Canada.